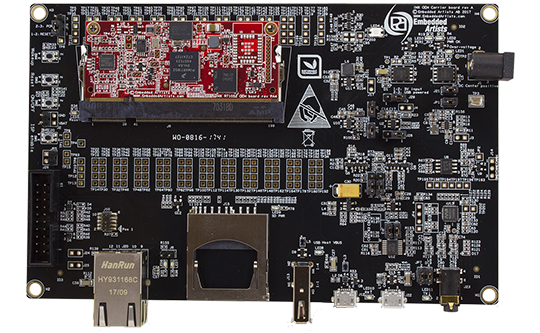 The iMX RT1052 Developer's Kit lets you get up-and-running quickly with the iMX RT1052 OEM Board. All relevant interfaces are available for evaluation or prototyping. Note that we recommend to also buy a debug interface, like LPC-Link2, ULINKplus from Arm/Keil, ULINK2 from Arm/Keil or J-Link from Segger. Note: Specifications for the OEM board is available on the iMX RT1052 OEM board page.